Food courses and outdoor cookery courses are by far the most popular subjects regarding bushcraft, survival, foraging or fishing. After a days foraging or hunting you deserve to do justice to what you have, everyone likes to eat well! Prepare and serve restaurant quality food using minimal equipment and a campfire. We offer outdoor cookery food courses of exceptional quality. Our cookery courses are led by Fraser Christian, a truly wild(! ), qualified professional chef who has an impressive employment history and now supplies local restaurants with natures finest foods and also runs wild food nights at local venues. Easily learn more than just the basics with professional guidance, such as chef’s top tips and tricks along with the combined extended practical knowledge of living and cooking outside on a daily basis. Take your camping cookery to the next level and offer 5 star alfresco dining. No need to take a fully equipped kitchen with you when visiting a campsite, your new skills will set you up perfectly if you have an electric hookup or nestled in the rocks as a voluntary castaway. 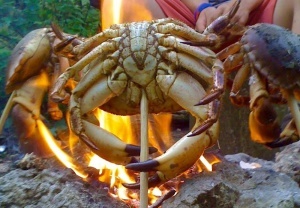 Seafood preparation and outdoor cookery course. 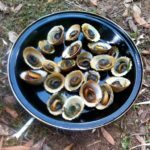 This one day food and outdoor cookery course will easily demonstrate how to approach a range of fish and shellfish to prepare them for the pan and table. We use a sustainable range of localy caught and collected fish and shellfish that is freshly available, what we have will depend on the season and weather at the time. 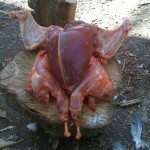 Game preparation and outdoor cookery course. Prepare and cook a mix of feather and fur in a woodland environment before cooking using wood fired pan cooking, ovens and smoker. The very best outdoor cookery courses, eat game using outdoor cookery skills and excel next time you’re cooking round the fire. 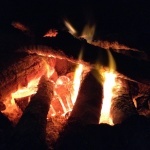 Campfire cookery is a outdoor course that starts with the basics of fireside cookery and progresses your confidence and skills to produce amazingly simple yet tasty campfire recipes and nutritious meals fit for any restaurant table. Good food for any outdoor experience, helps create memorable moments, this course is a must for all outdoor teachers and expedition leaders. A really wild bread baking course taking advantage of outdoor cookery skills using a wood fire and ovens. 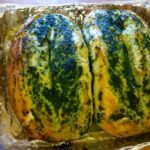 Learn the history and journey of traditional bread making and baking, using ancient techniques to cook bread three ways over the fire. Create your own sourdough starter (yours to take with you), shared from our unique wild woodland cultured mix.